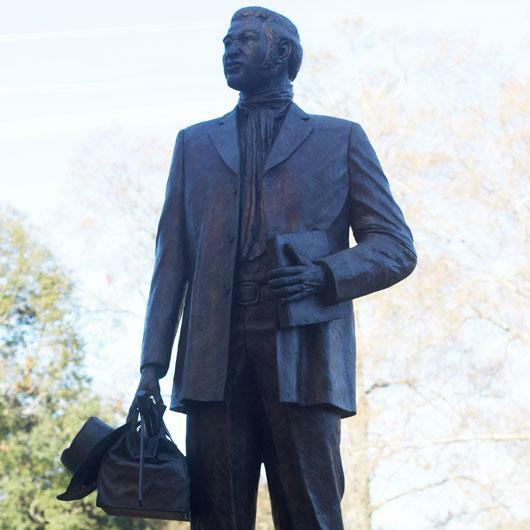 Denmark Vesey, enslaved in the West Indies won a fortune in a City of Charleston lottery and used it to purchase his freedom. But this wasn’t enough for Vesey, who wanted freedom for everyone. He planned what would have been one of America’s largest slave rebellions had it not been discovered. Alongside his collaborators, Vesey was tried, convicted and executed in 1822. Henry Darby is an educator and activist. He has served on Charleston County Council and is dedicated to ending gun violence in Charleston County. Vesey planned his rebellion with the support of many other enslaved people, all committed to freedom. When the plot was foiled, Vesey, and 34 enslaved men (as well as one free man) were eventually executed (or hanged) by summer’s end.